Nashville is a growing dynamic market full of exciting opportunities. Not only is the corporate work market here growing by leaps and bounds but many companies from out of town are coming here for their conferences and meetings. Good management knows and understands the correlation between rested happy workers and motivated problem solvers. At Snyder Entertainment we understand this concept and so we have developed a growing entertainment business model with both our neighbors and those visiting our great city. The key for us is to provide that moment of escape. You have been in meetings all day planning the next year and perhaps you need the opportunity to do something different; to let go and relax. Perhaps that means spending some time with your co-workers that you already know and many that you do not know. That is why many of our services are designed as team builders as well as entertainment pieces.. And one of those popular corporate pieces, that has quickly taken off in the past year, is our Custom Casino Events. We bring the fun of Las Vegas into your office or chosen venue, all the while creating exciting, interactive team building exercises through table games such as Poker, Roulette, and Blackjack. Don't just hire a DJ! Roll the dice with Snyder Entertainment and let us bring the fun of Vegas to your company with a custom Casino Party! 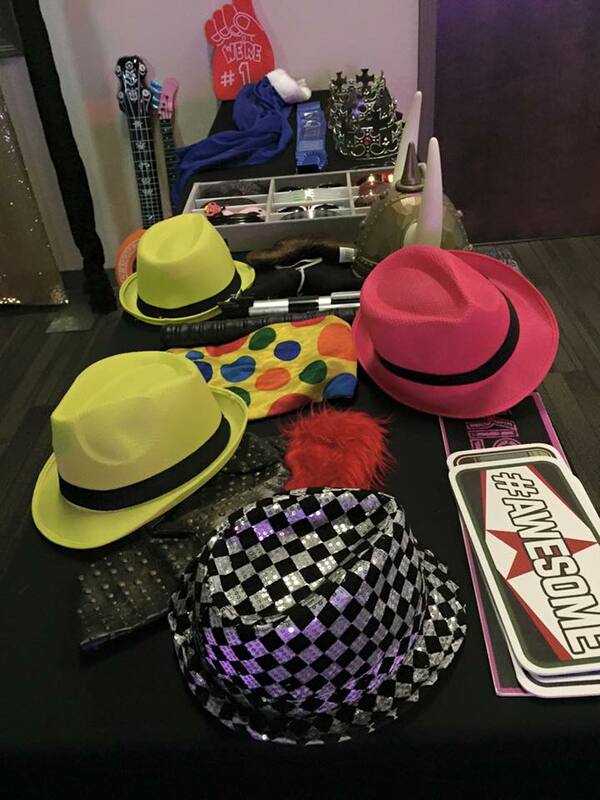 Make sure to add our fabulous entertainment elements to really set off your event. If you want to jazz up your event just a notch more let us come in with our Lighting Design and create an atmosphere that excites and motivates your team. 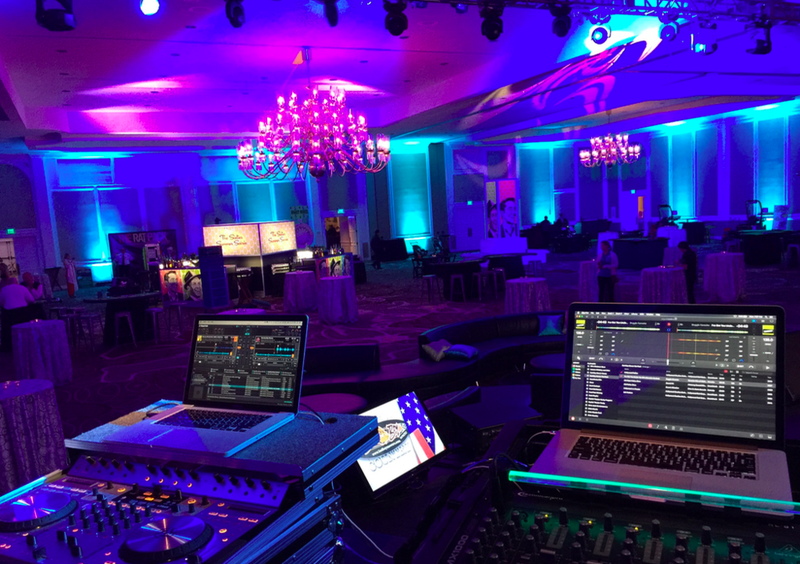 Like the event above, they combined a theme with their casino party and brought in up lighting, and casino themed gobo lights to elevate their event. I repeat this in almost every post that I write, but lighting is one of the most underestimated key components to a corporate event! What's the first thing you think of when you think of Vegas? Lights!! Lights are everywhere, similar to all of the neon signs that line the streets of Broadway. So you've added lighting, what else can you possibly add to bring even more fun? Well don't forget about including music! You can't underestimate how much music transforms the energy in the room. It may not seem that people are paying attention but they are; having an upbeat playlist is so important when you have a high number of guests in a large venue.